An Internet eXchange Point (IXP) is a central aggregation point where Internet Service Providers interconnect with each other using the Border Gateway Protocol (BGP) to peer with Autonomous System (AS). An IXP is also the most critical part of the Internet’s infrastructure. By incorporating Software Defined Network (SDN) technology, Software Defined eXchanges (SDXs) can provide a much more intelligent mechanism in network management and more efficient, flexible and dynamic network resource provisioning. 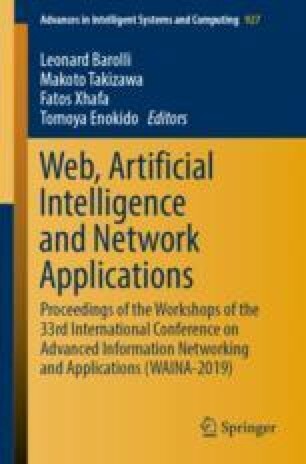 In this paper, we describe an adaptive network transmission testbed based on SDN-IP that provides efficiency, elasticity, security, and convenience. SDN-IP is an application built on an open-source ONOS, and it plays an important role for interconnection among heterogeneous networks. Using this approach, we exploit the L3 routing mechanism of SDN-IP for inter-domain communication, interconnecting several research sites. Besides the testbed deployment, we implemented a Web UI system for this testbed to decrease management overhead.